How is everyone doing? Just got home couple hours ago from taking my last finals for this week for my class International Business. I am super exhausted. All I can think about right now is my bed--well, after this beautiful post for you guys :) I can't believe I have one more week of class. I am super excited. I wore this outfit over the weekend for lunch and study at Panera. The weather was surprisingly warmer than usual for November. Talking about November, today is the last day of the month. This means that Christmas is right around the corner. I can't wait to decorate my Christmas tree and start my Christmas shopping. Have you guys started your Christmas decoration? What is one thing on your Christmas list? Thanks for all good luck wishes on my exam. Also, thank you all for your love and support this month and always. Let us bring on December....Yay! Love your outfit! Such a winter staple boots, cardigans, & leggings :) I'm so jealous of your arm party I really need to step my jewelry game up. What great arm candy you have there, my dear! 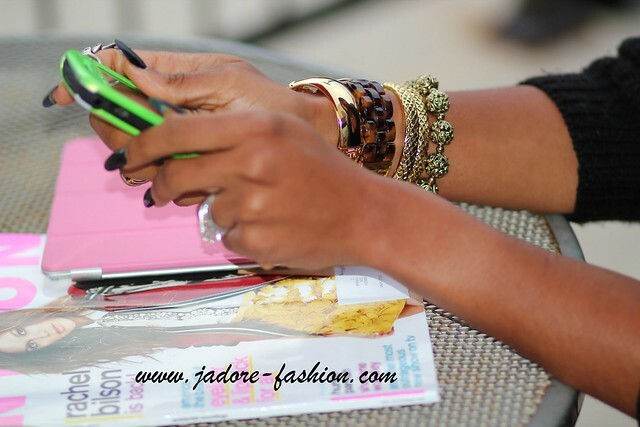 Those tights are gorg...loving the arm party. Love these leggings m'dear! Good luck on the exams! I need some riding boots, they been on my wish list for a long time. This is fly outfit. Totally going to copy this. Good luck on your finals. I have one more week left too. You keep amazing me with those jewels! :) Arrr, wild cat print! Loving your leggins and accessories. Great look,hon!Love the leggings and the cardi! Cute tights, love the boots! Love love love your jewels! I had to look at those boots like three times, I love them!!! May be they'll I have to put in my wish list this month especially that december is the(my)greatest month of the year!!! Diggin the leggings and cardigan with it, very nice. I love your leggings,but I need some more thigh high boots!! Such a cute look! I love the leggings! Not sure what I like the most, the boots or the leggings! Great look! I have some Awesome NEW items for Sale. I really love the jewelry. You always know how to accessorize your outfits. In <3 with the bots and I def need a pair of those tights. Good luck on your finals! Such a great post, I enjoyed it so much! Really nice photos! Last day to enter the Fox House giveaway on my blog! Take a look and maybe follow? : Cosa mi metto??? Honey you look absolutely stunning. 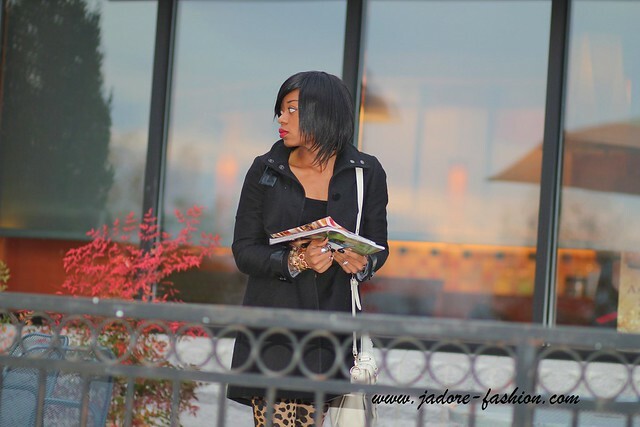 In love with your leopard leggings! I already decorated Xmas I'm an early bird and what's on my list...shoes/clothes and jewelry. Fantastic outfit!... 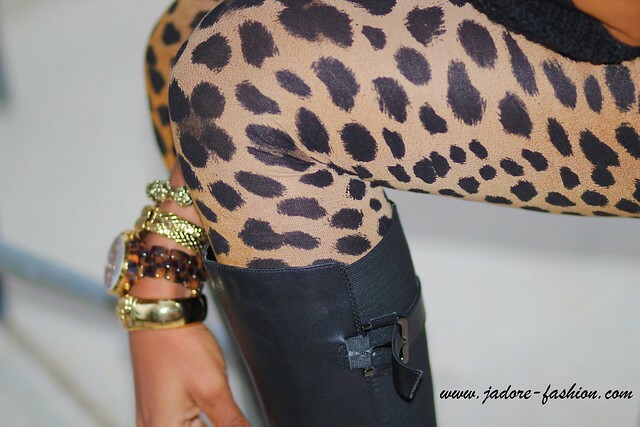 We love the leopard prints leggings!.. Love the pants an how you accessorized the look. Absolutely fantastic! Great look my dear! Love this look! THose leopard leggings are hot!! Great H&M finds! Good luck on your last week of school!